Michael Haederle profiles the Sashin Zen Community, led by Shohaku Okumura Roshi and based in Bloomington, Indiana. The last thing he wanted to do was speak English. 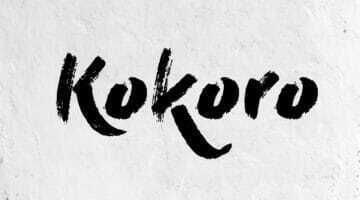 Shohaku Okumura had studied Buddhism and the thirteenth-century writings of Eihei Dogen at Tokyo’s Komazawa University, then taken priest’s vows and entered training at Antaiji, a Soto Zen temple in Kyoto headed by his late teacher, Kosho Uchiyama Roshi. But because many Americans and Europeans were studying there, Uchiyama urged him to study English. When Uchiyama retired in 1975, he asked Okumura and two brother monks to move to the hills of western Massachusetts to help build a new Zen center. Nearly forty years later, Okumura Roshi is still building. Now based in Bloomington, Indiana, he and his students have in the span of a decade established a training center that draws students, lay and ordained, from around the world. And through his translations, he is continually expanding the English Zen canon—it is in part through his efforts that western students now have access to the entirety of Dogen’s work. This is how Okumura strives to fulfill the legacy of his beloved teacher. English just comes with the territory. Practice at his center, Sanshin Zen Community, begins most mornings before dawn. 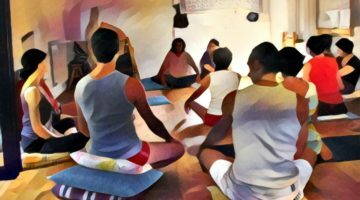 Zen students come together in the high-ceilinged basement of a white three-story building set back from the street and take their places on rows of tatami mats. There they face a wall and sit in silence. This intense, bare-bones retreat style is rare among western Zen centers, but even more unusual is the emphasis on textual study, which makes up a significant part of the practice at Sanshin. The year-round schedule alternates sesshin with genzo-e—intensive periods of studying, and practicing with, Eihei Dogen’s Shobogenzo (Treasury of the True Dharma Eye). Like Okumura, Uchiyama was not born into the life of a Zen monk. His spiritual journey began with the study of western philosophy and Catholic theology, which led him to take up Zen practice with Kodo sawaki, a towering figure in twentieth-century Soto Zen circles. “since he was a teenager, he wanted to know the truth about life but didn’t know what the truth was. He had the same question as I had, and he devoted himself to searching for the answer,” Okumura says of his teacher. But after five years of that work, Okumura had developed neck, shoulder, back, and knee problems, which forced him to return home to Japan. Again, his path was one suggested by his teacher: translation. While his body healed, he turned his attention to language, first in translating Dogen’s Bendowa (“The wholehearted way”), then his teacher’s book, Opening the Hand of Thought. The latter, suffused with Uchiyama’s modest, plainspoken wisdom, is much cherished by western Zen students. 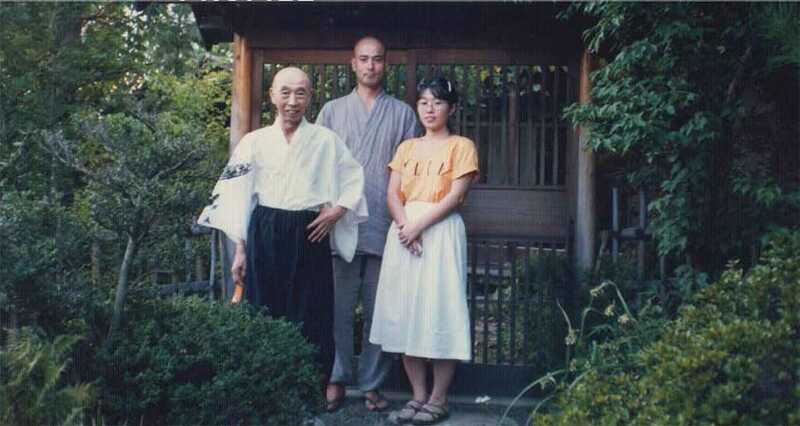 Okumura spent the 1980s teaching at the Kyoto Soto Zen Center. In 1992 he moved back to the U.S. at the invitation of the Minneapolis Zen Meditation Center, which had been leaderless since the 1990 death of its founding teacher, dainin Katagiri Roshi. He served there until 1996. “after I finished teaching in Minneapolis, I wanted to create my own practice center,” Okumura says. He formally incorporated the Sanshin Zen Community and began looking for a place to put down roots. Sanshin— Japanese for “three minds”—refers to Dogen’s teaching that a trio of mental attitudes supports serious practice: magnanimous mind, nurturing mind, and joyful mind. 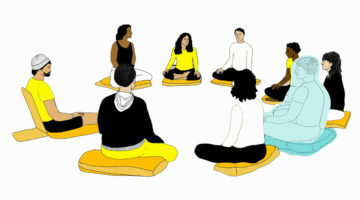 In 1997 Okumura was asked to take over the Soto Zen education Center in San Francisco, an institute that serves as a bridge between Japanese and American soto practice centers. He agreed, delaying his plans to start a Zen temple. But he kept looking. A friend recommended Bloomington, Indiana, home to a thriving but teacher-less sangha; land was purchased, and a local architect began designing the buildings. Construction started on a zendo and living quarters in 2002, and by the following summer Okumura and his wife, Yuko, who helps administer the center and oversees rakusu-sewing practice, had taken up residence there with their two children. It wasn’t long before others followed—over the past decade, a number of priests-in-training have spent time living at Sanshinji. Okumura estimates that he has about twenty disciples; seven have received dharma transmission and two have gone on to establish their own temples. While leading the practice schedule and classes on the shobogenzo and Opening the hand of Thought, as well as leading genzo-e at other centers, Okumura has published a number of important translations (including Dogen’s Pure Standards for the Zen Community and Dogen’s Extensive Record, both with Taigen Dan Leighton), along with two books of his own, Realizing Genjokoan and Living by Vow: A Practical Introduction to Eight Essential Zen Texts and Chants.